I have been transitioning our basement into a craft room for quite some time now. 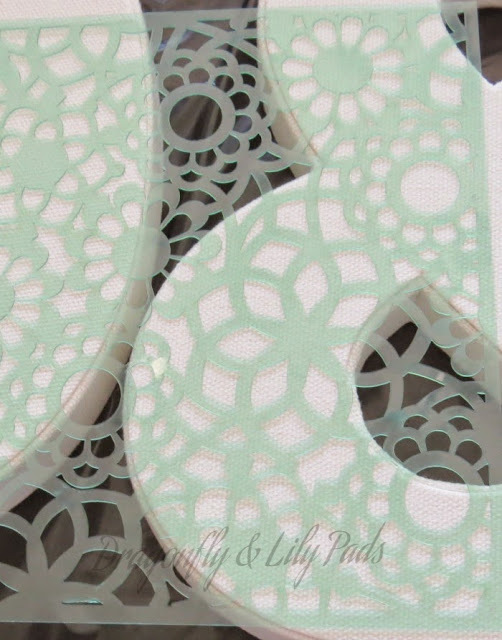 As you know Dragonfly & Lily Pads is a rather long name for my blog. Some have told me it is not great branding but, I love it and have decided to make it work. 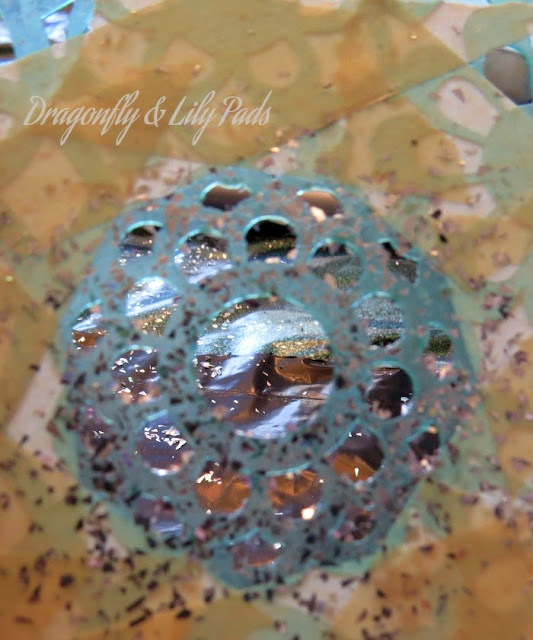 I have a special reason for the name I've included the link to the post here Dragonfly Pad. 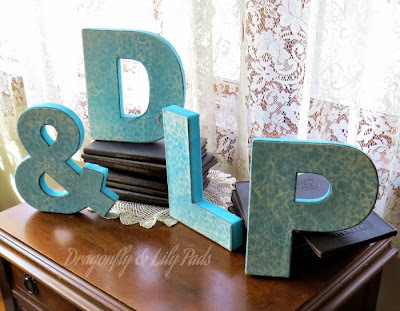 When I am writing the blog I use the initials D&LP for my notes and even a bit in the text. 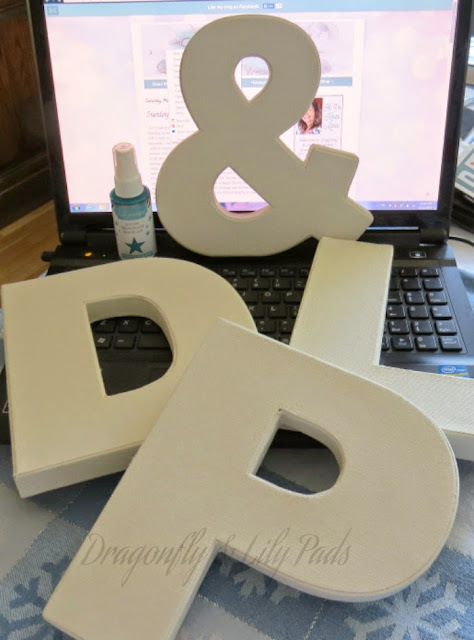 The moment I saw these white denim letters a project plan was hatched to add branding and decor to my craft room. Look at the start of the Craft Room. Yikes! Yes, this is real life in transition and the first space I have ever had of my own in my life. 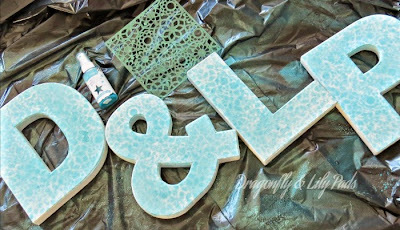 I bought +Heidi Swapp turquoise ink spray and a stencil. The First step my son helped me with holding stencil. I taped off the stenciled, painted glue and sprinkled silver glitter in a flower pattern to add some depth. 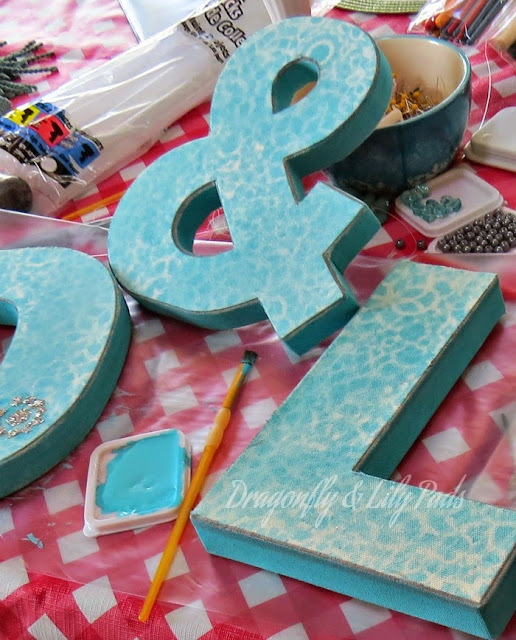 This turquoise acrylic paint happened to match the ink on the letters. I had in my stash at the lake house. "Happy Dance" Of course I painted away the white edge plus added a line of silver metallic Sharpie Marker to the face of the letters edge. After my hatched project has traveled to Michigan and back. I took this picture on my Grandmothers sewing machine in my living room. I can't wait to get the craft room finished up this week. I promise I will be lighting it up down there taking pictures to share very soon. What projects do you have planned for this week? How many of you are running off to +Michaels Stores to put your spin on some delightful denim decor for your home? How cute! You did a great job with these. I can't wait to see your craft room. Thank you for visiting today and your kind comments.I will have my craft room done by the end soon. I am working on the final details. This DIY was quick to make and easy to do. Thank you. Super cute my friend! I can't wait to see the craft room all finished up! !